ACC 52GX : Standard Chuck Size 500 x 200 mm. ACC 63GX : Standard Chuck Size 600 x 300 mm. ACC 64GX : Standard Chuck Size 600 x 400 mm. ACC 65GX : Standard Chuck Size 600 x 500 mm. ACC 84GX : Standard Chuck Size 800 x 400 mm. ACC 105GX : Standard Chuck Size 1000 x 500 mm. developed the moving column design. 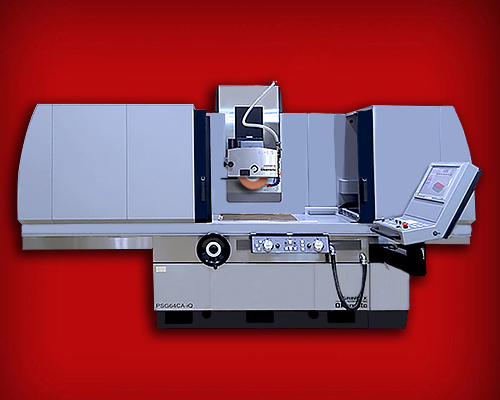 Machine table supported on both sides at all times. Controls the amount of lubricating oil layer. ACC 64CA : Standard Chuck Size 600 x 400 mm. ACC 84CA : Standard Chuck Size 800 x 400 mm. ACC 104CA : Standard Chuck Size 1000 x 400 mm. ACC 66CA : Standard Chuck Size 600 x 600 mm. ACC 106CA : Standard Chuck Size 1000 x 600 mm. 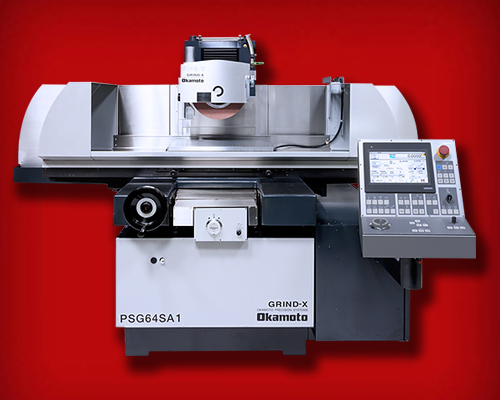 ACC CA-iQ Series Grinders These high-technology surface grinders feature super-rigid column feed design and construction to precisely grind large size components. 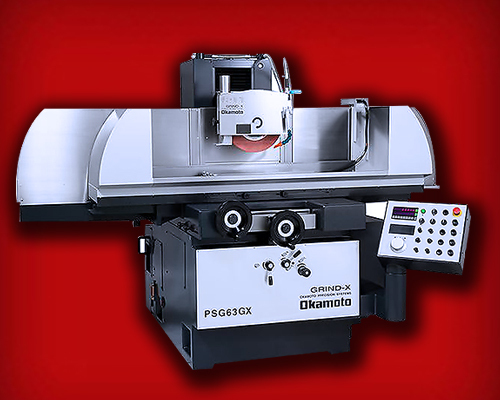 They utilize Okamoto's exclusive iQ touch-control data input to deliver a new degree in simplicity, accuracy and performance. ACC 64CA-iQ : Standard Chuck Size 600 x 400 mm. ACC 84CA-iQ : Standard Chuck Size 800 x 400 mm. ACC 104CA-iQ : Standard Chuck Size 1000 x 400 mm. ACC 66CA-iQ : Standard Chuck Size 600 x 600 mm. ACC 106CA-iQ : Standard Chuck Size 1000 x 600 mm. makes it easy to operate the machine. 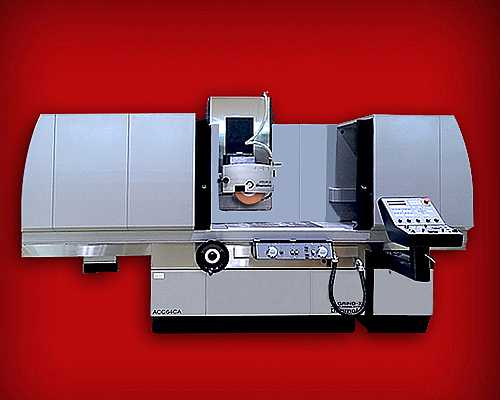 Best Machine For Replacement of PSG/ACC-DX Series. Position Teaching system for Crossfeed stroke. Auto Dress with Compensation is Standard. Spindle Inverter Unit is Standard. ACC 52SA1 : Standard Chuck Size 500 x 200 mm. ACC 63SA1 : Standard Chuck Size 600 x 300 mm. ACC 64SA1 : Standard Chuck Size 600 x 400 mm. ACC 65SA1 : Standard Chuck Size 600 x 500 mm. ACC 84SA1 : Standard Chuck Size 800 x 400 mm. ACC 105SA1 : Standard Chuck Size 1000 x 500 mm.